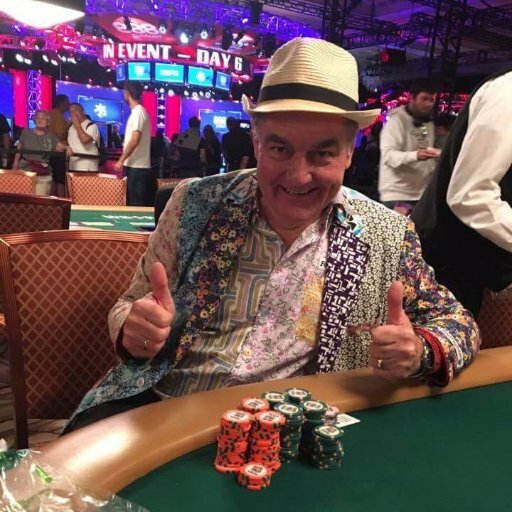 John Hesp, a 64-year-old grandpa from Bridlington, England, who won as a runner-up (4th place) of the 2017 WSOP $10,000 Main Event final table and took home $2.6 million, recently announced that his experience while he was in Las Vegas was utterly remarkable enough that it is going to be turned into a movie! Posted on Thursday, August 03, 2017 by "T". 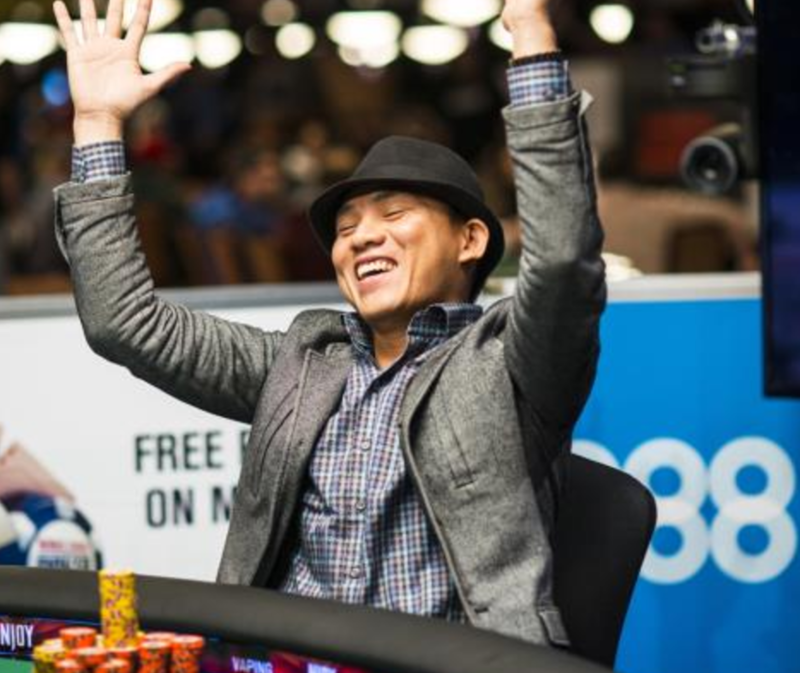 A man from Florida who has been freed on bail on a manslaughter charge with a deadly weapon had actually participated in this year's WSOP Main Event in Las Vegas, and got lucky to have won and collect more than $100K. Posted on Friday, July 28, 2017 by "T". The 2017 WSOP Main Event winner Scott Blumstein actually isn't the only man benefiting from the deuce on the river that took out Dan Ott on the final hand of poker's biggest tournament of the year. The world poker champion won for each of his four friends $40,750 out of the $8,150,000 he won, their massive reward for investing a tiny $60 a piece to support his $10,000 buy-in to the tournament. Grandpa travels to Las Vegas just to check off bucket list - Wins $2.6 Million! Posted on Thursday, July 27, 2017 by "T". 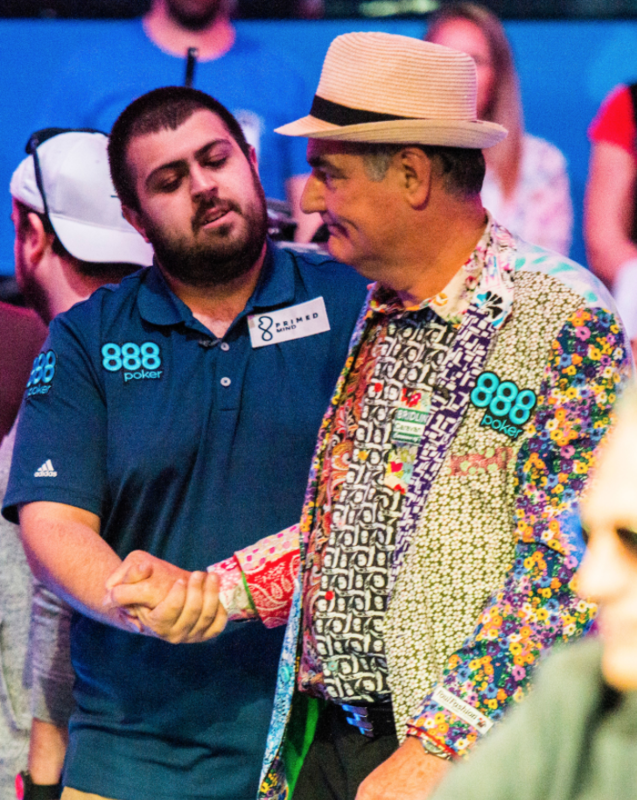 Let's take a look at one of the runner ups of the 2017 WSOP Main Event final table, and you'd be surprised to learn that he's just an ordinary 64-year-old grandpa from Bridlington, England. Read more » Grandpa travels to Las Vegas just to check off bucket list - Wins $2.6 Million! 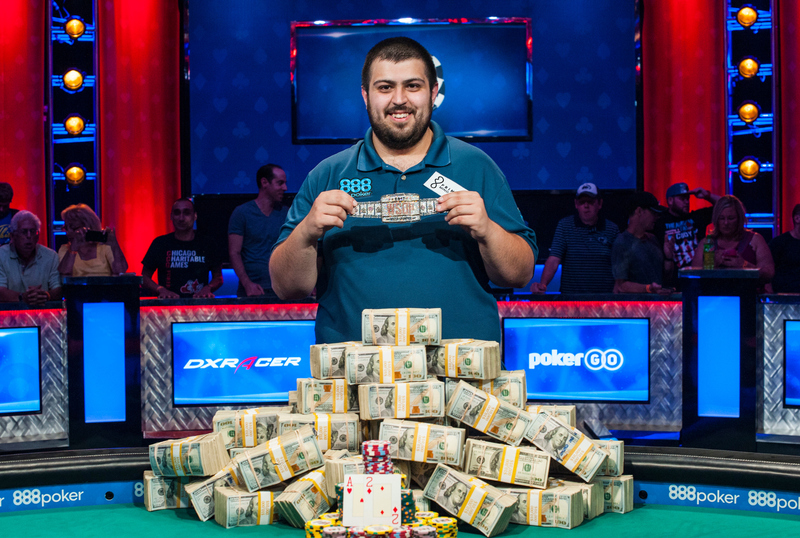 Read more » Scott Blumstein Wins The 2017 WSOP Main Event! Posted on Friday, July 21, 2017 by "T". 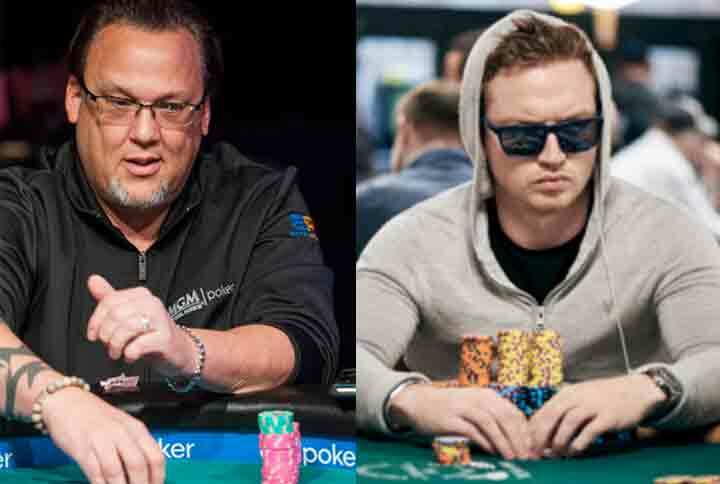 The plan for the first day of the 2017 WSOP Main Event final table was play down to 6 players, however, the eliminations took very long and tournament organizers finally called it a day at around 11:00 pm, when only 2 players had been sent packing. The two unfortunate players not to make it through the first day were Ben Lamb (9th for $1,000,000) and Jack Sinclair (8th for $1,200,000). Posted on Tuesday, July 18, 2017 by "T". After over a week of intensive play, a massive field of 7,221 entries (the third biggest in WSOP Main Event history) have become only 9 players with the chance taking home the $8,150,000 first-place prize and become the world champion! 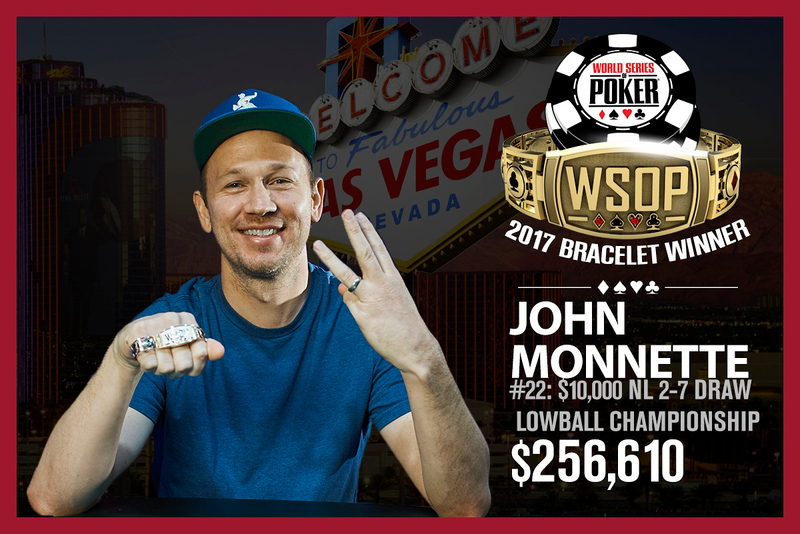 Read more » 2017 WSOP Main Event: FINAL TABLE IS SET! Posted on Friday, July 14, 2017 by "T". 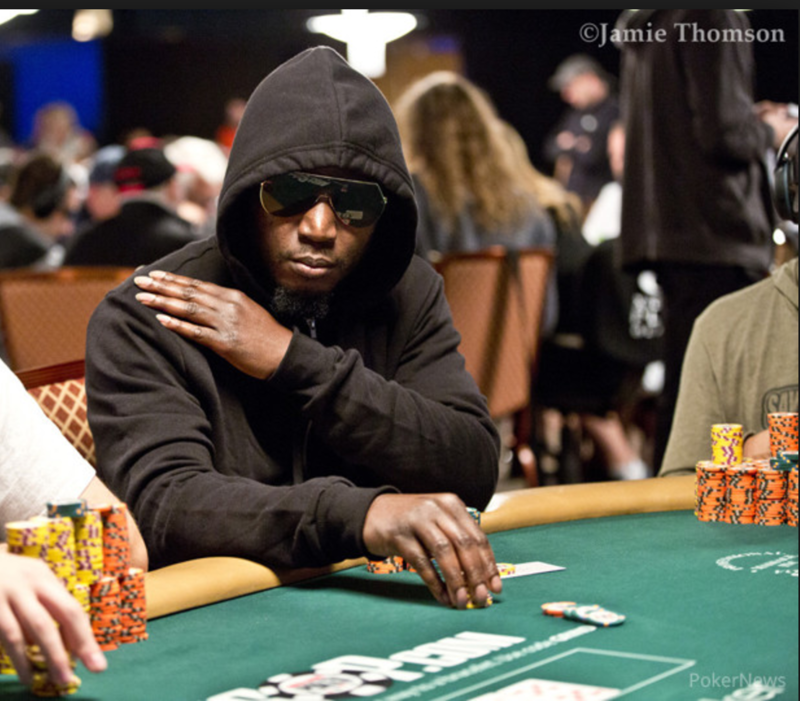 Day 3 of the Main Event has come to an end and now there are only 1,084 players left. The money bubble bursted after about 14 hours of play on Day 3 when Quan Zhou and Roger Campbell were eliminated on 2 separate tables. Day 2c of the 2017 World Series of Poker Main Event concluded with 1,524 players and Englishman Artan Dedusha in the chip lead with 680k in chips. 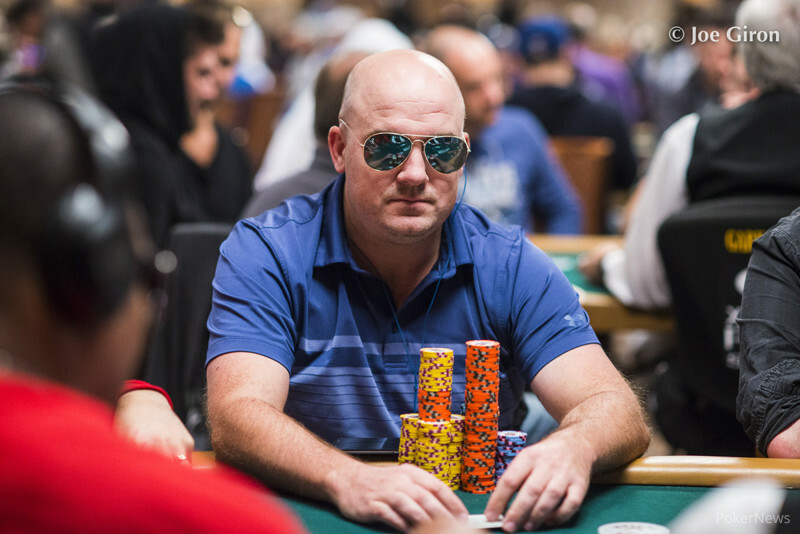 Not far behind Dedusha in the final Day 2C chip counts was Ryan Hughes (picture), a US poker pro who has a fantastic winning streak this summer with a couple of final tables and and 15 cashes! Posted on Thursday, July 13, 2017 by "T". 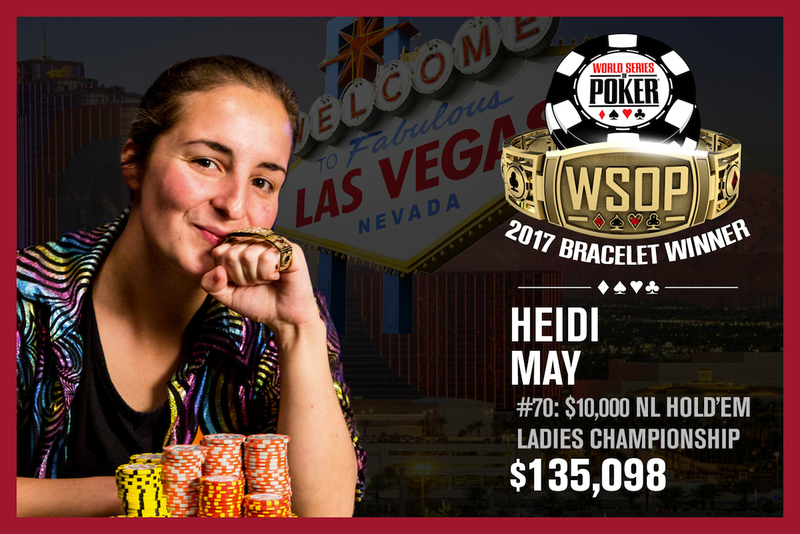 On July 9, Sunday was a memorable day for Australian Heidi May, who won 2017 WSOP's Event #70: Ladies No-Limit Hold'em Championship $10,000 Buy-in (Ladies Discount to $1,000 Buy-in), a 3-day event which started on July 7, Friday at 11am. 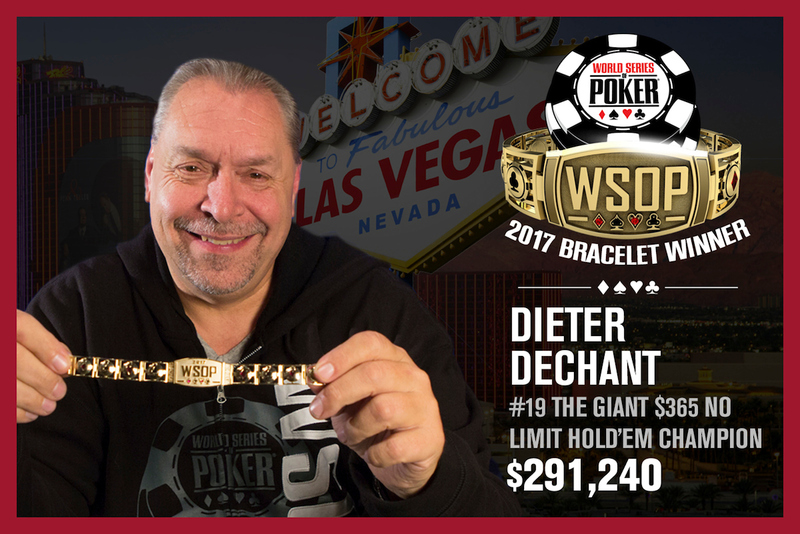 On July 9, Sunday was an awesome day for Dieter Dechant, who won 2017 WSOP's Event #19: $365 GIANT No-Limit Hold'em, an event which started on June 9 at 7pm. The event drew a massive number of 10,015 participants, building a prize pool of $3,004,500. 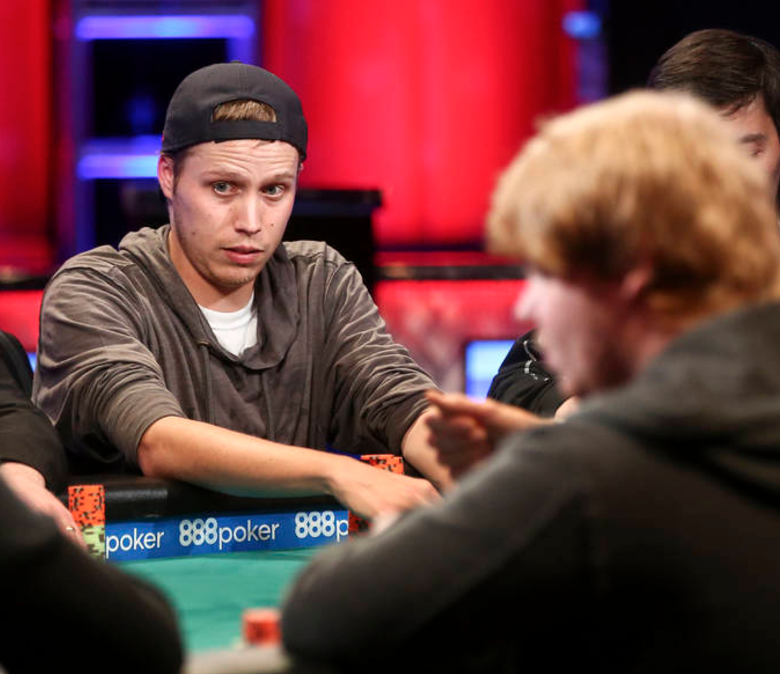 Meet Ian ‘ApokerJoker2' Steinman, who reigned supreme at the WSOP.com online poker tournaments in 2016. 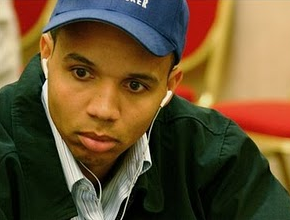 This year, he's a name to watch out for as he's participating at the World Series of Poker live tables. As predicted, the final Day 1 flight of the WSOP $10,000 Main Event is the biggest ever in seven years. On July 10, Monday at the Rio Las Vegas, a total of 4,262 entrants gathered for Day 1C, the third and final starting day of the 2017 WSOP Main Event. Day 1B started at 11am on July 9, Sunday with players scattered about at the Brasilia Room and Amazon Room in the Rio All-Suite Hotel & Casino. Day 1B's number of players signed up are so many, specifically 2,164, that the Amazon and Brasilia's Rooms were quickly jam-packed, which called for the Miranda Room to be occupied as well. Overall, the player turnout for Day 1A and Day 1B is 2,959. Posted on Monday, July 10, 2017 by "T". Much like poker's Olympics, the most prestigious poker tournament in the world kicks off July 8 and ends in July 22 when a winner is declared and crowned at the Rio All-Suite Hotel & Casino. On July 6, Thursday was an awesome evening for a handful of poker pros, after the conclusion of the 2017 WSOP's Event #62: $50,000 Poker Players Championship (6-Handed) tournament, a 5-day event which started on July 2, Sunday at 3pm. Posted on Friday, July 07, 2017 by "T". 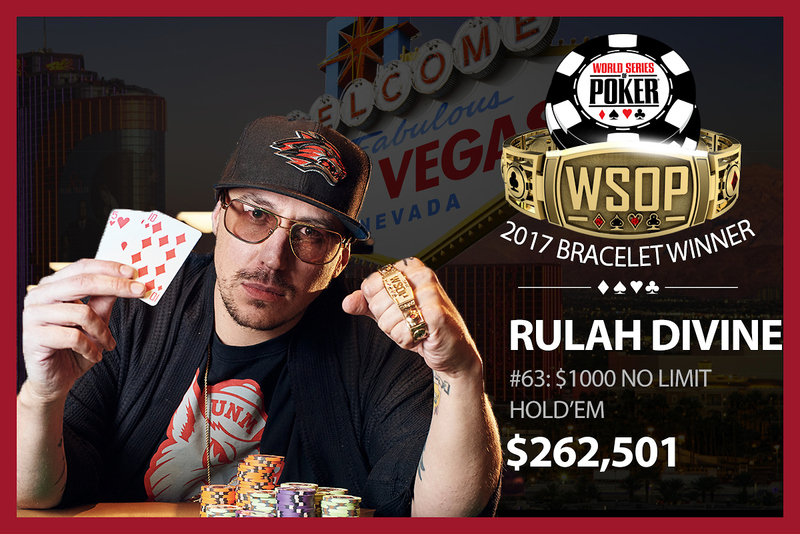 On July 5, Wednesday was truly a memorable day for Rulah Divine, who emerged triumphant on 2017 WSOP's Event #63: $1,000 No-Limit Hold'em tournament, a 3-day event which started July 3, Monday at 11am. 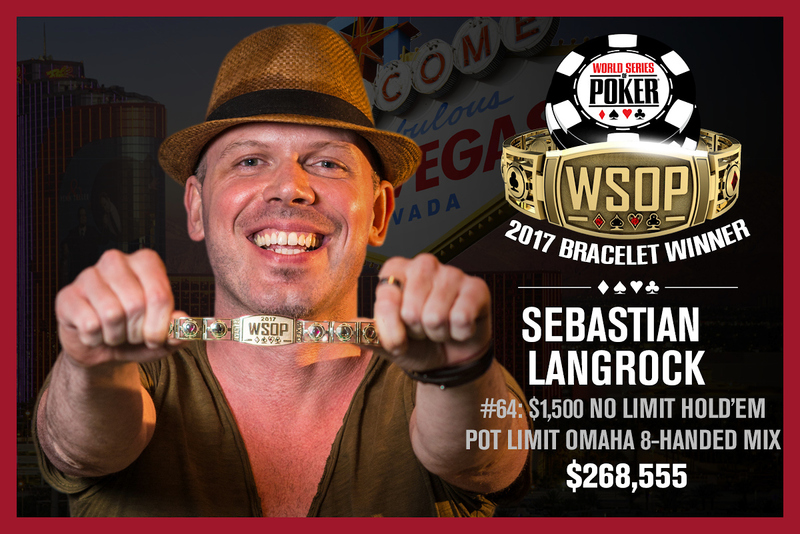 On July 5, Wednesday was definitely a great day for Sebastian Langrock, who was the last man standing on 2017 WSOP's Event #64: $1,500 No-Limit Hold'em/Pot-Limit Omaha 8-Handed Mix tournament, a 3-day event which started July 3, Monday at 3pm. Posted on Thursday, July 06, 2017 by "T". 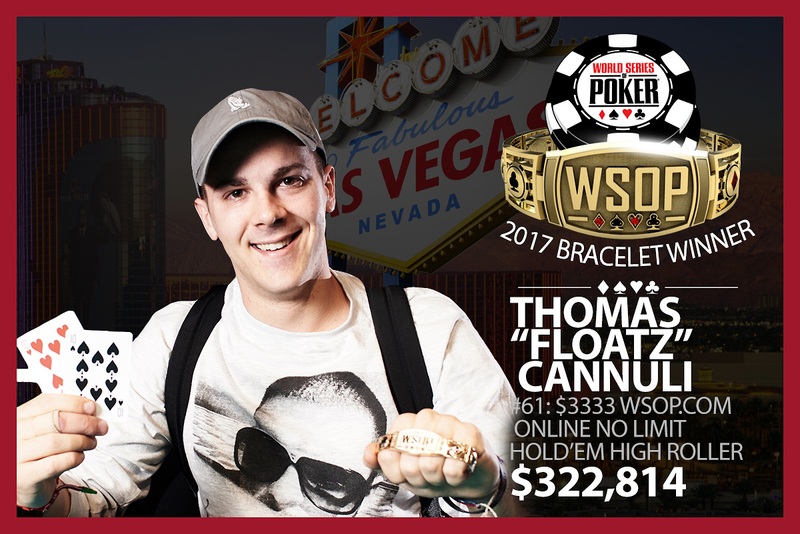 On the wee hours of Sunday, July 2, Thomas ‘FLOATZ' Cannuli bagged Event #61, the inaugural $3,333 Big Grind Online, also known as the WSOP.com Online High Roller No-Limit Hold'em tournament, a one-day unlimited re-entry event which was scheduled last Saturday, July 1, 2017 at 3:33pm. 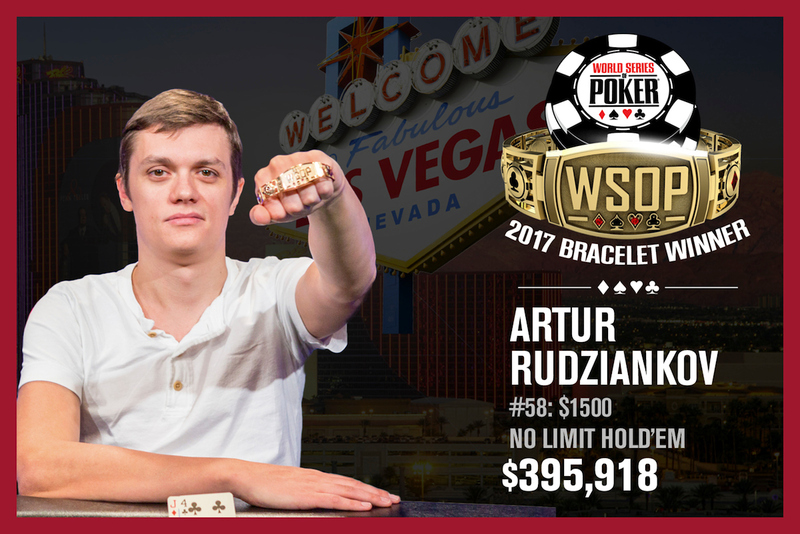 With Artur Rudziankov's triumph at the 2017 WSOP Event #58 of $1,500 No-Limit Hold'em, he now became the second Czech national to have ever won the coveted WSOP gold bracelet. Posted on Tuesday, July 04, 2017 by "T". 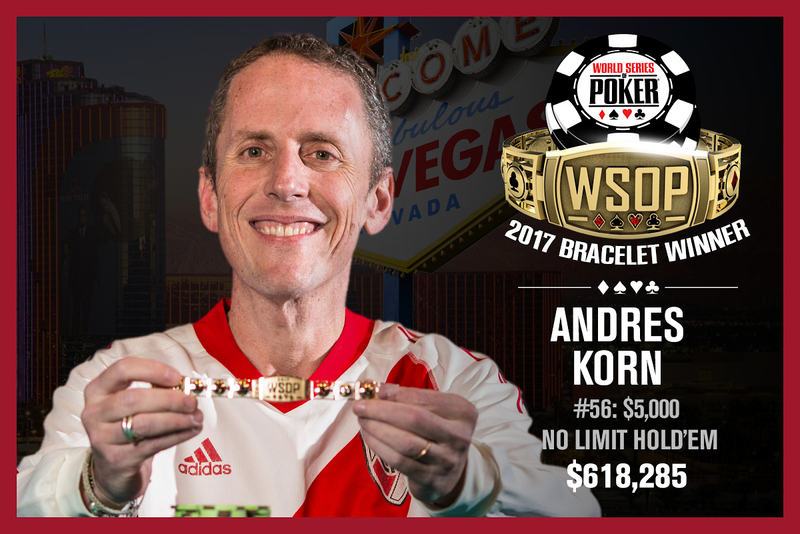 It seems like for the many winning players who participated so far, this year's WSOP has become their groundbreaking year for nabbing their first ever gold bracelet, and Argentinian Andres Korn joins the list of WSOP's gold bracelet winners. 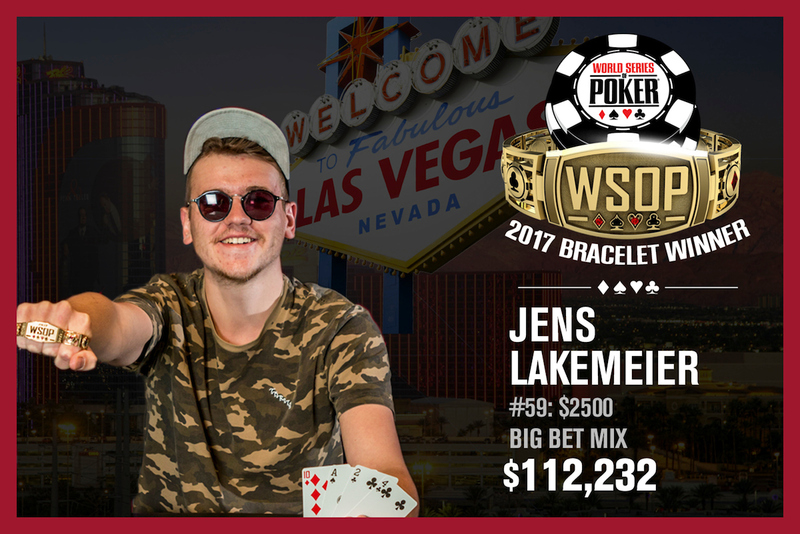 Jens Lakemeier has emerged victorious in the $2,500 Big Bet Mixed tournament of WSOP 2017 after besting a field of poker players totaling up to 179 entrants. Not only did he take home the event's title, but also he has claimed his first ever gold bracelet along with a guaranteed prize pool cash worth $112,232. Posted on Wednesday, June 21, 2017 by "T". 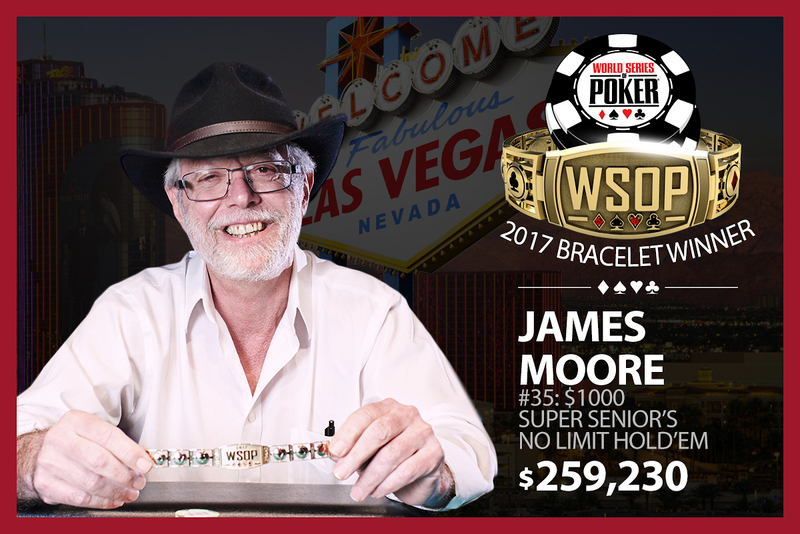 In 2016, James Moore topped a field of 1,476 entries in the Super Seniors Championship to lay hands on his first gold bracelet and $230,626, the biggest cash of his career! On Tuesday, Moore, 66, took down his second gold bracelet after once again winning the Super Seniors Event! 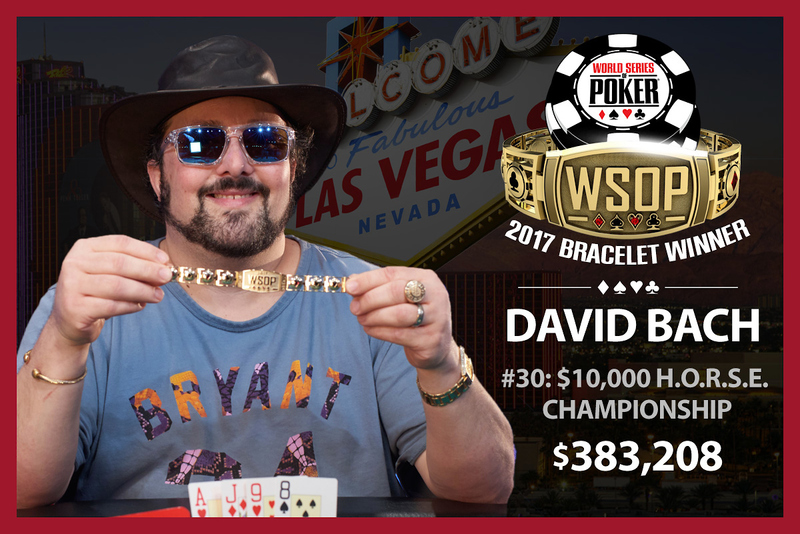 Tags: 2017 WSOP, David Bach, h.o.r.s.e. Posted on Monday, June 19, 2017 by "T". The $10,000 H.O.R.S.E. Championship, one of the highest regarded events of the World Series of Poker, attracted an elite field of 150 players and concluded on Sunday with David Bach as the winner! James Obst emerged victorious in the $10,000 Razz Championship last night. 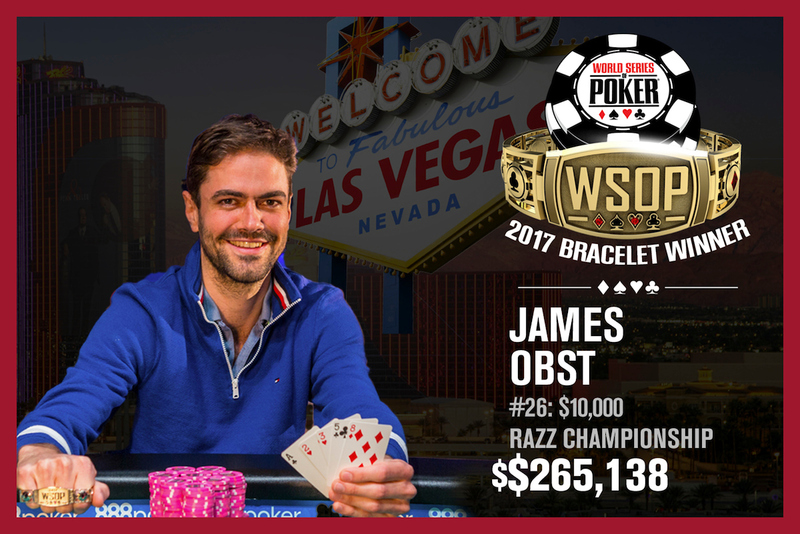 Obst's victory earned him $265,138 in prize money and his first gold coveted bracelet! 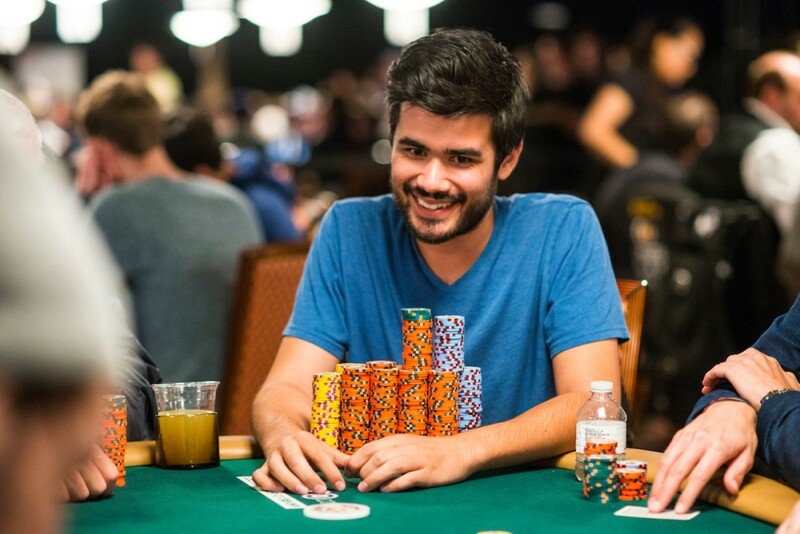 2017 WSOP: Canada's Pablo Mariz Wins Millionaire Maker Championship! This year's $1,500 buy-in Millionaire Maker event drew a field of 7,759 entries to create a $10,477,350 prize pool. The top 1,165 finishing players in this event received a slice of the massive prize pool and Canada's Pablo Mariz earned $1,221,407 as well as his first gold bracelet for the victory! 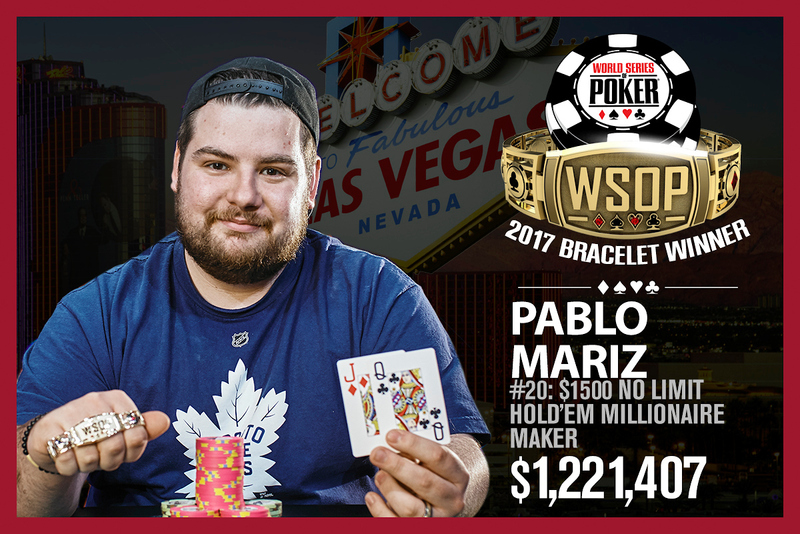 Read more » 2017 WSOP: Canada's Pablo Mariz Wins Millionaire Maker Championship! 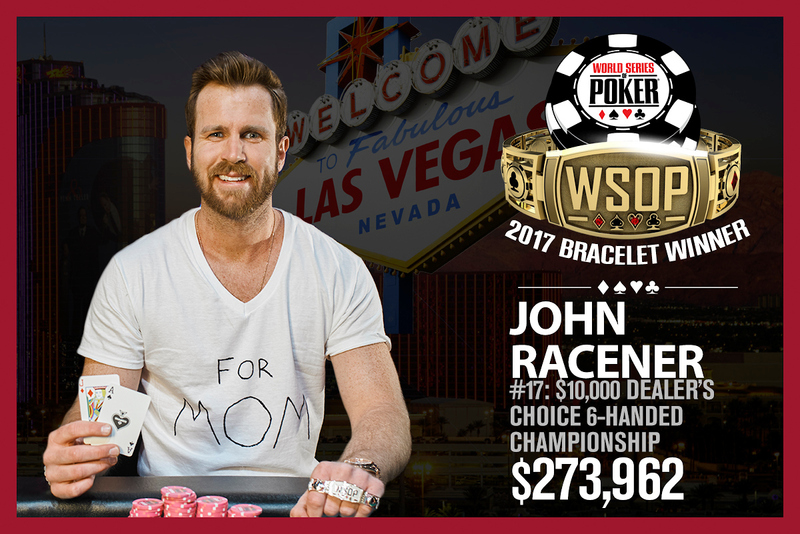 After many second and third place finishes, Flordia poker pro and 2010 WSOP Main Event runner-up John Racener finally got his first gold coveted bracelet early on Sunday morning after having successfully survived a tough 102-player field in the $10,000 Dealers Choice Championship! 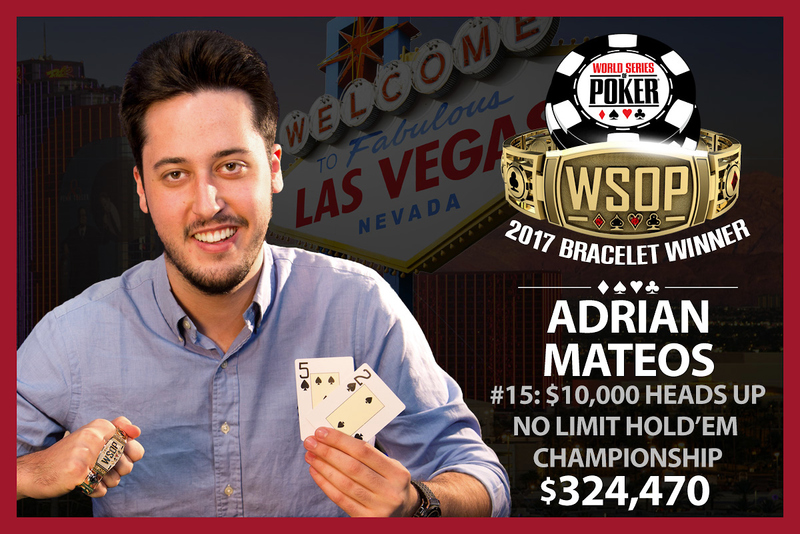 2017 WSOP: Adrian Mateos Becomes Youngest 3-Time Bracelet Winner In WSOP History! The $10,000 heads-up championship concluded last Friday night with 22-year-old Spaniard Adrian Mateos as the champion after defeating highway contractor John Smith, 70, from California in the final round! 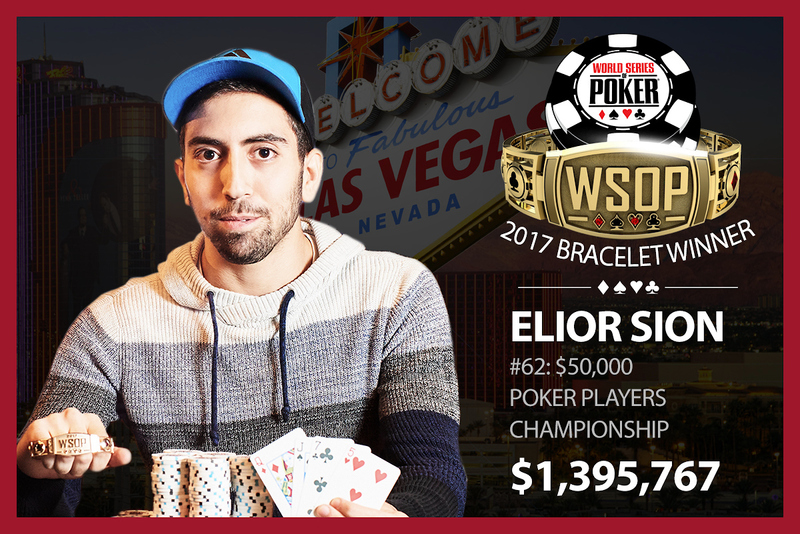 Read more » 2017 WSOP: Adrian Mateos Becomes Youngest 3-Time Bracelet Winner In WSOP History! 2017 WSOP: Abe Mosseri defeats Daniel Negreanu to win $10k Omaha Event! Posted on Thursday, June 08, 2017 by "T". Event #9: $10,000 Omaha Hi-Lo or Better Championship drew 154 entries and it took four days of play to boil down the tallented field poker players to a winner. The tournament should have ended on Tuesday but time run out and a fourth day was added. 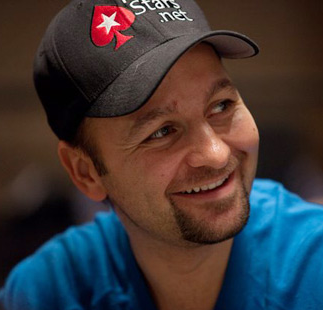 On Wednesday, Abe Mosseri (USA) and Daniel Negreanu (Canada) were the only players returning to the final table, with Mosseri having a 2-1 chip lead. 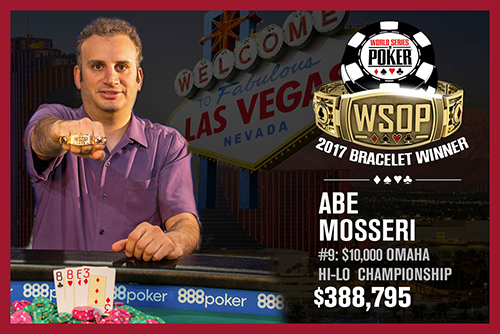 Read more » 2017 WSOP: Abe Mosseri defeats Daniel Negreanu to win $10k Omaha Event! Posted on Wednesday, June 07, 2017 by "T". 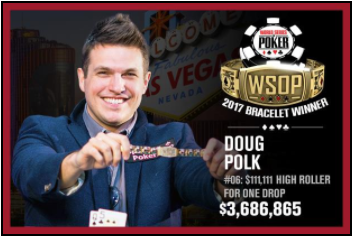 On Tuesday, American poker pro and popular video blogger Doug Polk took home the biggest cash of his career after winning the 2017 WSOP $111,111 buy-in One Drop High Roller! Polk bested a field of 130 players to lay hands on the massive $3,686,865 first-place prize as well as his third WSOP bracelet! Read more » 2017 WSOP: Doug Polk Wins $111,111 One Drop High Roller! 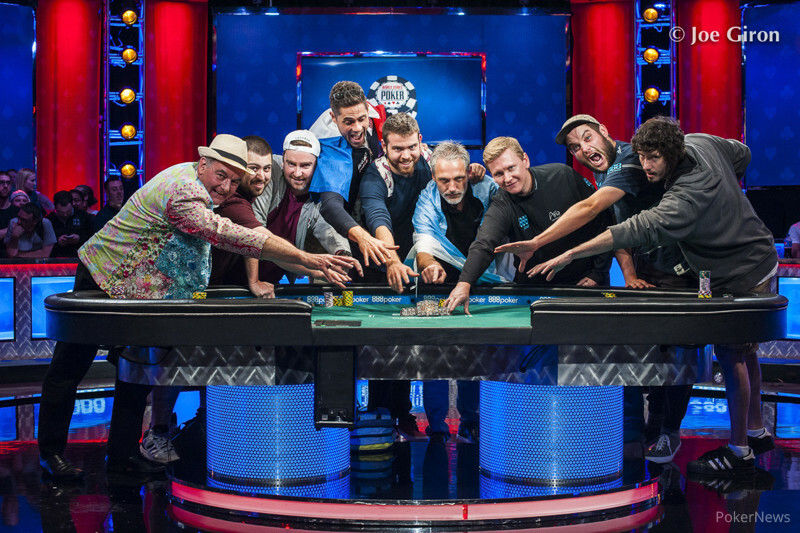 On Wednesday, WSOP.com announced that this summer's Main Event final table will be played already in July! This means that the November Nine concept, which was implemented in 2007, has been sacked and poker fans all over the world will not have to wait four months to watch the final table! Read more » 2017 WSOP: November Nine Concept Removed! Posted on Tuesday, December 20, 2016 by "T". According to WSOP.com, the WSOP announces their most popular festival scheduled to run right May 30 to July 17 next year. WSOP Executive Director Ty Stewart stated in a release, "We want to wish everyone Happy Holidays and best wishes for a safe and successful 2017. We are busy trying to finalize the entire 2017 WSOP schedule. We anticipate a similar series to last year with a few new wrinkles, but ensuring a broad array of options to satisfy every potential participant."